Actually, that doesn’t quite convey my attitude. Let’s try this again. TODAY WAS THE LAST DAY OF SCHOOL!!!!!!!!!!!!!!!!!!!!!!!!!!!!!!!!!!!!!!!!!!!!!!!!!!!!!!!!!!!!!!!!!!OMGOMG! All I had to do was get through the day, and then I was off to Hurghada with my dive instructor to complete the four dives that would earn me my PADI. This would be perfect. I would return in August with a card enabling me to dive with all of my friends. I could – literally – jump right into it. Unfortunately, there was the little matter of transporting bags upon bags of crap that I’d accumulated over to Rebecca’s where they would spend the summer. I thought I had finished packing. In a way, I had. My room had been effectively bagged last night with the help of a bottle of beer and an episode of True Blood. It now lay in garbage bags, shopping bags, water bottle boxes, and whatever medium I could think of. 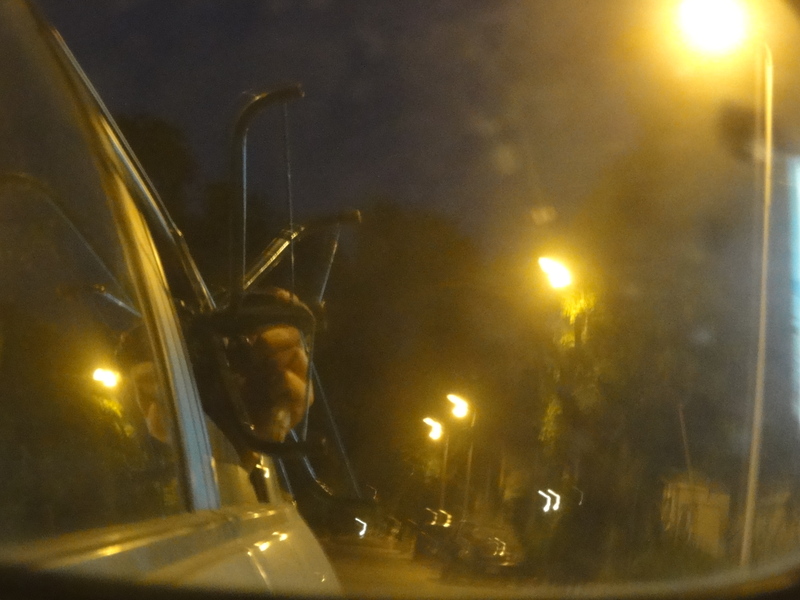 It was four thirty when I started lugging the stuff downstairs to the poor cab driver I’d hailed to help me with the move. I figured I would have it all done with time to get to the Grand Mall by six to head off on the dive excursion. 1. I had far more bags than I thought. 2. There was (some) traffic. 3. Rebecca’s boab was MIA for the first trip. 4. It took forever to cart all of the stuff downstairs. 5. Rebecca’s flat did not have a lift. 6. I forgot to pack the kitchen. It was with an air of malodorous, sweaty despair that I phoned the dive instructor to tell him I’d do my best to get on the 9:30 bus, that he and the group shouldn’t wait for me. I currently believe I will remember this moment forever: leaning against the countertop, on the verge of tears, the last ten months of my life haphazardly thrown into Dasani boxes on the floor around me. The slight relaxation came from knowing I’d be on the 9:30 bus to Hurghada (Go Bus! is a useful tool) and receiving a phone call from my dear friend Marie, who was offering her car up for the second leg of the move. This leg included Shannon and quite a few of her bags as well as some of the larger items I couldn’t carry in the first move, such as the space heater and my Christmas tree. 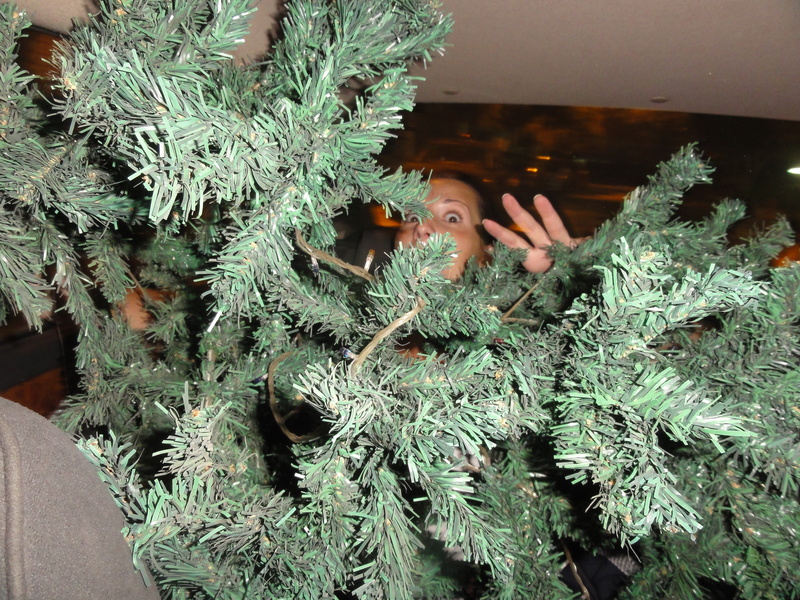 Despite insisting that I did not need the tree, I ended up dragging it with me, mainly because of Susannah. “Oh, you’ll want it though.” – Susannah, with a head tilt and a reassuring smile. 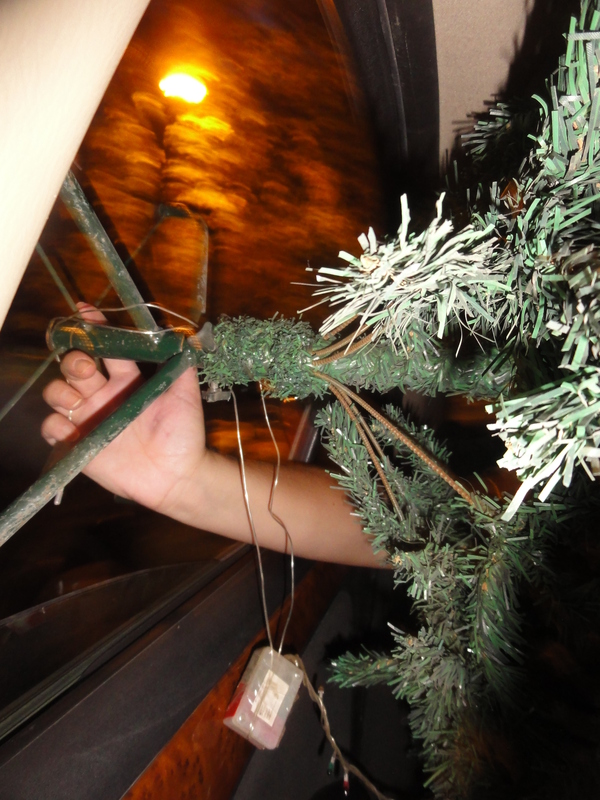 So Shannon got in first and we stuffed the tree across her lap, driving down narrow streets with the base of the tree sticking out the window. And by the time I got home, sweaty again but grateful for good friends, it was so late that there was no way I was going to make the bus. I’ve been pretty disappointed about this, but really, I think it’s for the better. Getting on a bus for five hours through the desert, arriving at Hurghada at 2:30am, sleeping for five hours or so, and then diving just didn’t sound fun. I like diving. The more I tried to force the weekend to happen, the less fun it became. So I’ve resigned myself to finishing the course in August. But life could be worse. Cairo is really giving us a royal goodbye; Susannah got cornered by a parent in the last twenty minutes today and was on the brink of a breakdown; my dive trip fell through and I was in the kitchen on the brink of a breakdown; Shannon lost her bank card to a hungry ATM and spent fifteen minutes on the phone with someone who couldn’t speak English and was on the brink of a breakdown. On the bright side, I’m off to Alexandria tomorrow for Susannah’s birthday. At least I won’t be sulking around Cairo all weekend. And it looks like I’ve got one more night in my bed, which doesn’t matter since I’ve already moved everything out and have nothing here but a backpack stuffed with items intended for a diving trip. practicing her aim for our gunslingin’ safari!